Roberta Lillich, DVM and 2009 President of the American Association of Feline Practitioners, discusses the importance of wellness exams for cats. Fairfield Animal Hospital has serviced pets and their owners since 1989 and from our current location since 2005. Whether your pet needs a simple checkup or an emergency procedure, Dr. Heit and his staff are here to help. 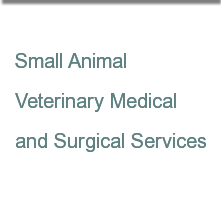 Centrally located on Horizon Drive - we're easy to find for small animal veterinary medical and surgical procedures off Air Base Parkway between Interstate 80 and Travis AFB. At Fairfield Animal Hospital, we strive to provide you with the very best vet care in the area. We realize you have many choices for veterinarians in Solano County and we thank you for choosing us.